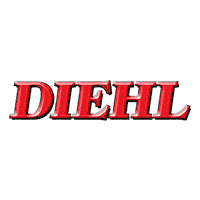 Here at Diehl CDJR of Robinson, we want to help you make the most of your daily driving experience in a new Chrysler, Dodge, Jeep or RAM model. That’s why we encourage you to customize your ride with available MOPAR Parts and Accessories. At our Parts Center near Pittsburgh, we offer you the chance to take your ride to the next level with MOPAR Parts and Accessories. As you’ll see below, our current inventory includes accessories like fog lights, car stereo systems, tow hooks, seat covers, cargo liners and racks, body kits, stylish accents and much more! Looking of Jeep Accessories, Car Stereo Systems or Body Kits in Pittsburgh Area? You’ll Find them at Diehl CDJR of Robinson! Staying connected has also never been easier thanks to MOPAR. That’s because we offer a wide variety of safety and entertainment options such as a backup camera, the Uconnect infotainment system and a built-in Wi-Fi spot to name just a few! Of course, you’ll have the chance to work with an expertly trained parts specialist that’s ready to answer all of your questions. With our assistance, you’ll have no trouble finding the perfect part or accessory for your car, truck or SUV! Now, take the time browse our inventory of MOPAR Parts and Accessories to find the right fit for your vehicle. If you have any questions or concerns, don’t hesitate to contact our us via email or phone at (412) 722-1800. We look forward to being of assistance!